in a town of quiet harbor, the grass blown by the wind like a dancing carnival. the sand draws the line between the land and sea. a beautiful clear sky. birds are playing around and singing with melody everyone could enjoy, a peaceful place in a quiet afternoon on a swing chair. on the other side, on the path to the boat, left behind a box and a bulb. the night has come, all the stars shine twinkly and a brightest moon greet every dark sea with its smile. a surrounding is becoming dimmer, few boats are floating in the middle of the sea not too far from the harbor. it was a cold windy night. stage-early/adjusting and aligning each other expectation. the box is starting to get afraid of darkness and bulb is getting colder. everyone has different routine before being together in relationship, this is a process on how each of us to take and give each other. learning to understand the needs of each other. stage-mid/accepting is seeing imperfections perfectly. 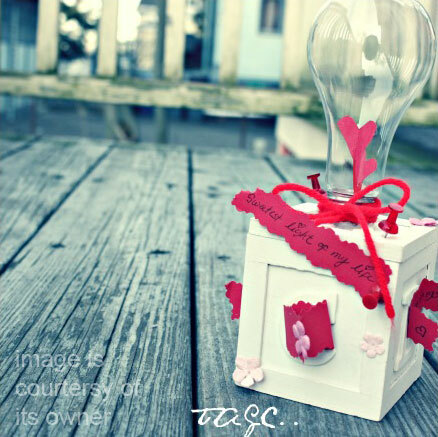 the capability of box and bulb is not extra ordinary but simple for what they are to be made. no one is perfect, everyone lack of something. it might not suit you. it might not please you. its acceptance and love that to see and appreciate what are good things about each other, and tolerate about the no-so-good one. stage-halfway/protecting and guarding each other. this part probably the hardest and challenging part in relationship. guarding each other heart from outside temptation, a flirt from somebody else, or comparing ours with other couple will make us think too much and demand more from each other. we grow to love what we have, because every relationship has their own and different things to go through. when the box is unable to protect bulb from cold nor bulb could lighten up the surrounding for box anymore. will they still able to appreciate each other? Love is patient, love is kind. It does not envy, it does not boast, it is not proud. It does not dishonor others, it is not self-seeking, it is not easily angered, it keeps no record of wrongs.Love does not delight in evil but rejoices with the truth. It always protects, always trusts, always hopes, always perseveres.